Fathom Events and 4K Media Inc. announced the return of the popular Yu-Gi-Oh! The Movie to theaters for two days in March. 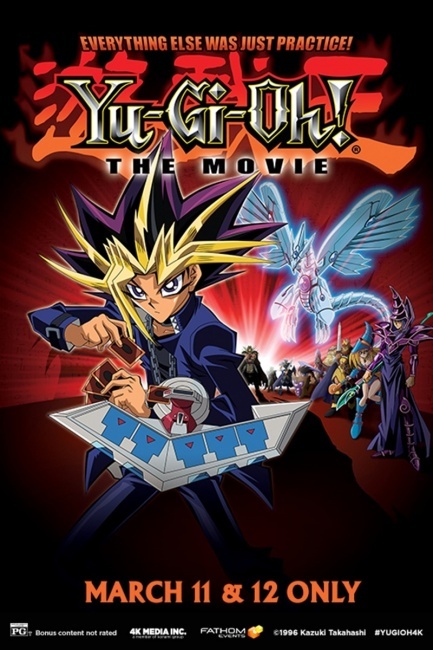 The (dubbed) movie will be digitally remastered from the popular 2004 film release (see �Crossover Creams Competition�), and after the film, viewers will get a sneak peek at the first episode of the Yu-Gi-Oh! VRAINS animated series (English dubbed). The film will be shown Sunday, March 11 at 12:55 p.m. and Monday, March 12 at 7:00 p.m. (all local times).